What Happens When a Marital Asset Is Titled in the Name of a Business or Third Party? 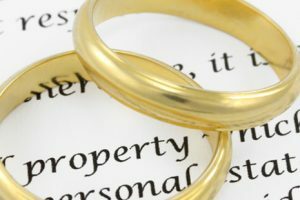 In North Carolina, property that is owned at the date of separation by either spouse, individually or jointly, is presumed to be marital property. But, what happens when a business or third-party holds title to an asset that is claimed to be a marital asset? 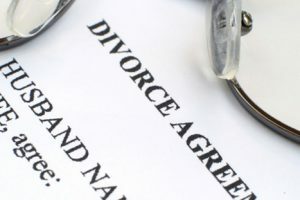 What if a spouse titles an asset acquired with marital funds in the name of a business or transfers title to a marital asset to a third-party, such as a child or parent, in an attempt to hide or divert the asset from the marital estate to deprive the other spouse of his/her share or interest? North Carolina courts have construed property interests to include both legal and equitable interests. Thus, in an equitable distribution action, property that is held or titled in the name of a business or third-party may still be determined to be marital property. A judge in an equitable distribution proceeding does not have authority to distribute an asset that is outside of the parties’ marital and divisible estate. When a business or third-party holds legal title to an asset that is claimed to be marital property, then the business or third-party must be made a party to the equitable distribution action, with their participation limited to the issue of determining ownership of the asset. If the business or third-party is not made a party to the legal action, then the trial judge does not have the jurisdiction to enter an order that affects title to the asset and the asset cannot be distributed as part of the equitable distribution action. How Separate Property Can Become Marital Property. Why You May Need an Expert Witness or Other Professional to Assist in Your Divorce or Child Custody Case.